The thermometer tells you it is below freezing. But that doesn’t mean you have to stay inside! There’s traditional winter activities like skiing and sledding, but there is so much for to experience outside in freezing temps! First, make sure you dress appropriately making sure you seal draft points and reduce heat loss. 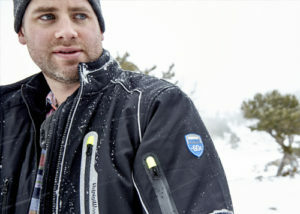 Choose the right gear for your temperatures and activities. Whether you need jackets for just below freezing or extreme temperatures, don’t forget about base layers, gloves, and headwear.Once dressed properly, get out there and enjoy the winter wonderland! From science experiments and art to exotic sports and everyday fun, there is plenty to do outside even when the temperatures are in the single digits.